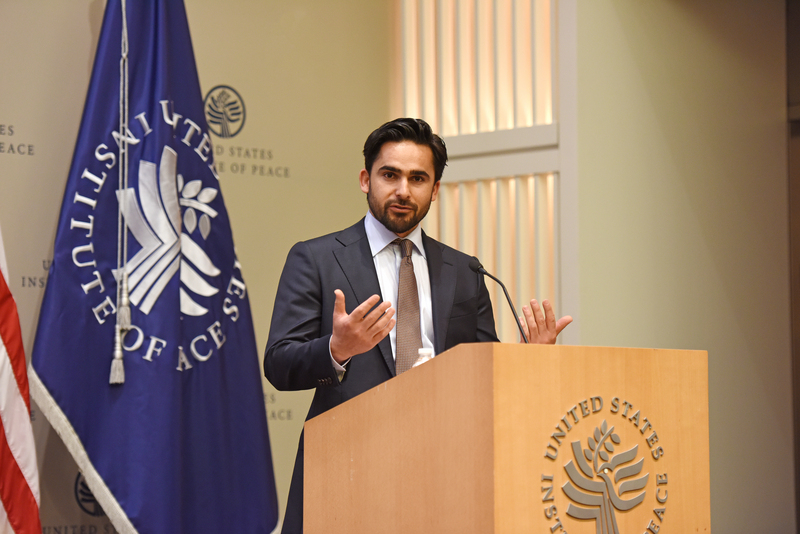 Rise to Peace, in conjunction with the United States Institute of Peace, is presenting a compelling panel on the future of Afghanistan’s political environment on April 25, 2018, from 2:30 to 4:30 pm at the United States Institute of Peace. Hear from distinguished experts as they discuss the possibilities and challenges involved in the country’s resolution towards peace and its goal to implement a democratic model by 2020. The following questions are just an example of the complicated issues we will tackle. Is such an endeavor possible? 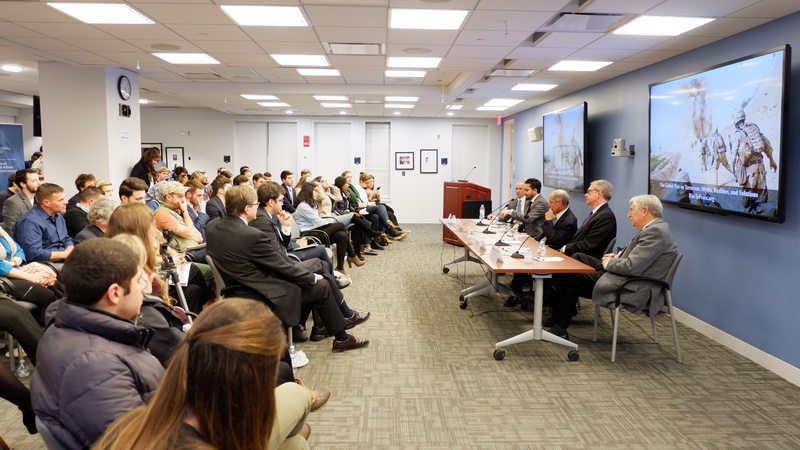 What internal and external geopolitical forces will ultimately shape Afghanistan’s future? 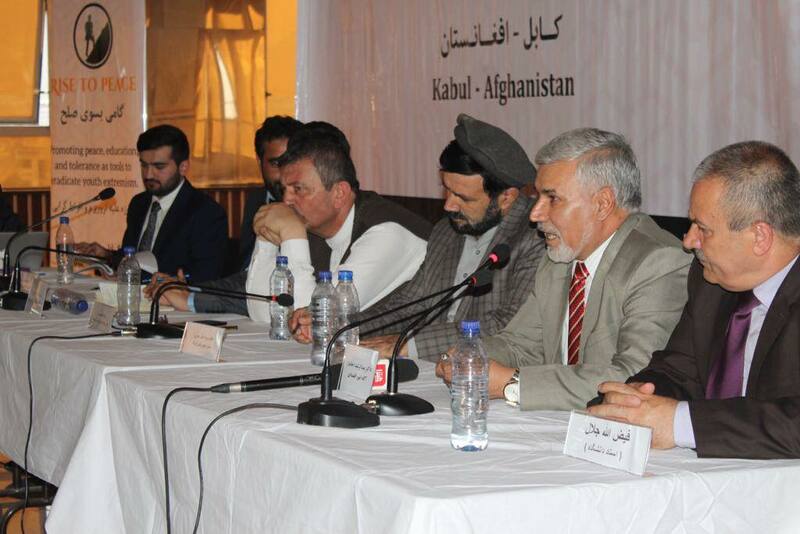 Can talks with the Taliban lead to peace in Afghanistan? Is it possible for the Taliban to become a legitimate and mainstream political force? What role, if any, will the United States play in Afghanistan going forward and what might be some factors for motivation or for avoidance? Ambassador Timothy Carney is a career diplomat, Ambassador Carney served the State Department in Vietnam, Cambodia, Indonesia, Thailand, South Africa, and Lesotho in addition to acting as the United States Ambassador to Sudan (1995-1997) and Haiti (1998-1999). Prior to that, Ambassador Carney was involved in several UN peacekeeping missions, including UNTAC in Cambodia, UNOSOM II in Somalia, and UNOMSA in South Africa, and served on President George Bush’s National Security Council staff. Since his retirement, he has remained active in the Middle East. He spent six months in Afghanistan in 2009 leading a U.S. government team to support the elections there. John Wood is an Associate Professor at NDU’s Near East South Asia Center for Strategic Studies. Previously, he served as the National Security Council’s Senior Director for Afghanistan, from 2007 to 2009, as the Pentagon’s Assistant Deputy Director for Politico-Military Affairs – Asia, on the Joint Staff, and as an Armor officer in the US Army, retiring as a Colonel. Professor Wood is also the co-author of From Kabul to Baghdad and Back: The U.S. at War in Afghanistan and Iraq. Courtney Cooper is a career civil servant who most recently served on the National Security Council staff as director for Afghanistan, leading a range of U.S. policy efforts and advising senior White House officials on South Asia political issues. Since 2005, she has worked in various foreign policy roles within the government on international trade, economic development, and national security issues, including postings in South Asia. Cooper holds BA degrees in political science and international affairs from the University of Arizona and a MA in international affairs from George Washington University. Johnny Walsh is a senior expert on Afghanistan, focusing on the Afghan peace process. Mr. Walsh has served as a diplomat with the U.S. Department of State, most recently as the lead advisor on the Afghan peace process in the Bureau of South and Central Asian Affairs. He was also the senior policy advisor for South Asia, the Middle East, and counterterrorism at the U.S. Mission to the United Nations. From 2010-2014, he worked on Afghanistan and Pakistan in various capacities at State, including an assignment in Kandahar at the height of the U.S. troop surge. Mr. Walsh has extensive additional experience on Iraq (including a year at U.S. Embassy Baghdad), Yemen, the Arabian Peninsula, and North Africa. 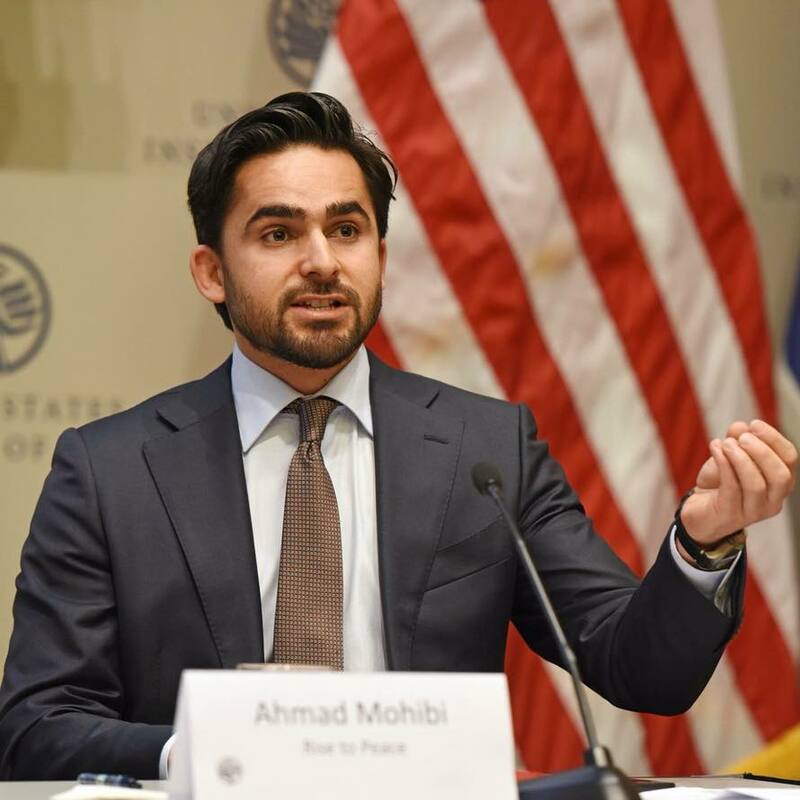 Ahmad Shah Mohibi is founder and president of Rise to Peace. He brings more than 12 years’ experience working with the United States and Afghan governments alongside the international community to help in a concerted mission – to combat terrorism and encourage democracy and stability in tumultuous regions. Ahmad has traveled to remote areas of Asia and the Middle East, from Pakistan, Afghanistan, Turkey, and Tajikistan, to Mongolia; as well as countries in Africa, to conduct humanitarian work. He started working at the age of 15, supporting the U.S. Government’s “Operation Enduring Freedom”. 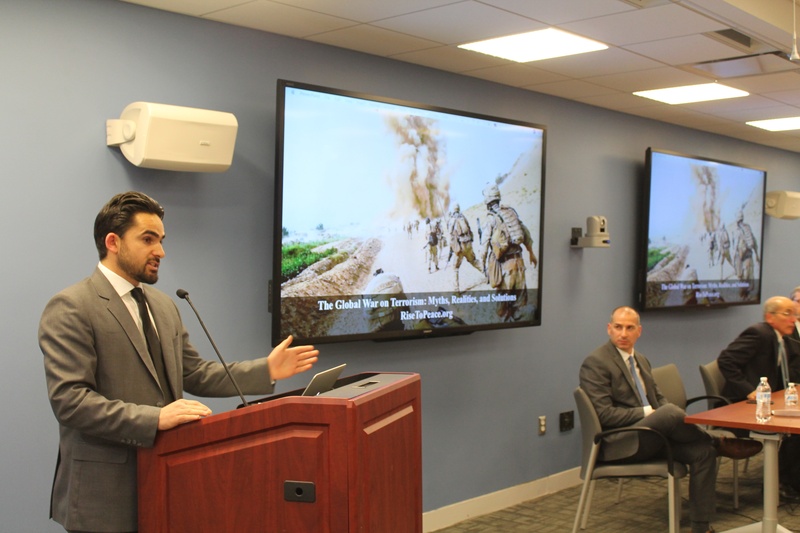 Ahmad is an International Relations Analyst and regularly provides commentary to humanitarian and international media outlets including TOLOnews, Ariana News and Voice of America. 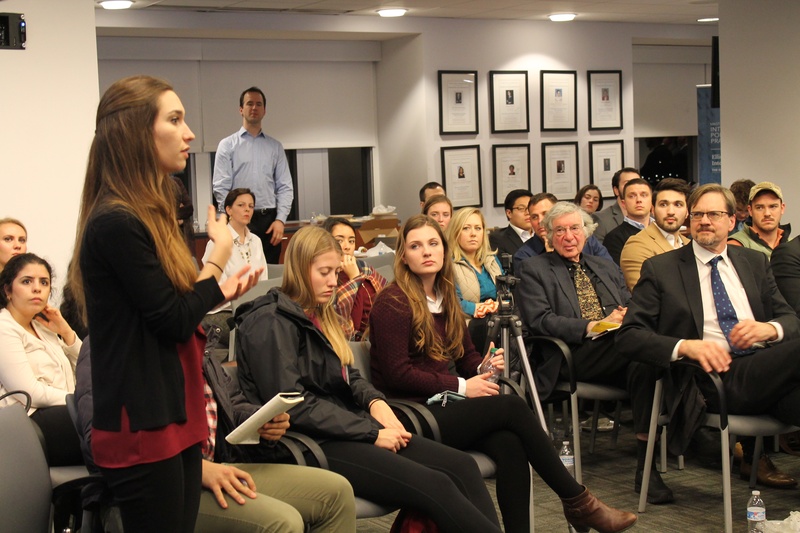 He regularly speaks at discussion panels on U.S. policy and foreign relations to engage the public and share his expertise and knowledge on Afghanistan, the Middle East, and counter-terrorism. He is a regular participant in community gatherings, where he engages with the growing community of individuals interested in finding solutions to civil and political injustices. Michael R. Sherwin, an Assistant United States Attorney with the U. S. Department of Justice, has extensive experience in national security investigations and counterterrorism cases. Prior to becoming a federal prosecutor, Michael was an intelligence officer in the U.S. Navy, where he served throughout the Middle East in support of Operation Enduring Freedom (Afghanistan) and Operation Iraqi Freedom.